After a series of Emergency Room visits and Hospital stays, Kurt was diagnosed with two brain tumors which are grade 4 Glioblastoma in addition to another brain tumor which is grade 1 however equally as troubling in the occipital lobe of his brain. It is generally accepted that in most cases this is a terminal diagnosis. If the Glioblastoma wasn't horrible enough on its own, the location of the additional tumor has disrupted Kurt's vision to the point that he required 24 hour care for almost two months and will likely require home healthcare again in the future. To get to where he is today, Kurt underwent multiple CT scans, many MRI scans, a brain biopsy, and multiple hospital stays. He made 30 trips to Duluth from Virginia for radiation treatments while enduring 48 doses of chemotherapy treatments in pill form. At one point before his full diagnosis he had a seizure, and he now takes antiseizure medications as well as numerous other medications several times a day. Kurt has been unable to work since the second week of May. His medical bills are mounting, and due to the unusual number of CT scans and MRIs, Kurt is faced with significant out of pocket medical expenses. Due to Kurt's inability to work, in the near future the conditions surrounding his health insurance will change. As a result, his out of pocket medical expenses will increase significantly. In addition to that, Kurt is also faced with the regular expenses incurred by daily trips to Duluth and back and other unexpected costs related to his new reality. Kurt, for the first time, is in a position to need financial help. He has never been one to ask for a hand out or help in any way, and he wants to say "Thank You!" in advance to those willing and able to contribute to his ongoing battle. Thank you for your prayers, encouraging words, and support. UPDATE: Kurt has recently learned that again, he has another tumor, and his previously existing tumors have grown. At this point in time, he is no longer a candidate for any further radiation. Kurt has also decided recently, that it would be best for his safety and well-being to move back into the assisted living facility he was previously living in, down in the Mankato area. This was a difficult decision for him to make, but he will be able to be near family and have more help to meet his daily needs. He is going to be starting a new treatment, he will be wearing a cap called Optune, which has electrodes. He will be required to wear this cap a minimum of around 20 hours per day, while he is at home he is able to plug into an outlet and when going out, there is a battery pack, the electrodes will need to be changed every 2-3 days and his head will need to be shaved this often as well. He will need to wear this cap every day for the rest of his life. Kurt has also been undergoing infusion treatments, right now those are once every three weeks. Kurt wishes to express his gratitude to everyone who has helped him along this journey so far, those who have given their time, energy, encouragement, help, and donations, he is very grateful for everyone and their generosity! Kurt's monthly expenses to live in the assisted living facility will each month be greater than what his income is. The funds he previously raised on Gofundme were exhausted with his last stay there. He is again asking for people to help by saying a prayer for him, give him a call or send him a note, and also, to please donate if you are able. His monthly bills will be adding up quickly! Thank you so much for taking the time to read this and for walking this road with Kurt as he navigates life with his brain cancer. Our friend Kurt has been going through radiation and chemotherapy for his brain tumors since May of 2016, and he's been unable to work during this entire time. He recently learned through an MRI scan that during this long process of treatment, his existing tumors managed to grow 5mm, and he unfortunately has gained another tumor. 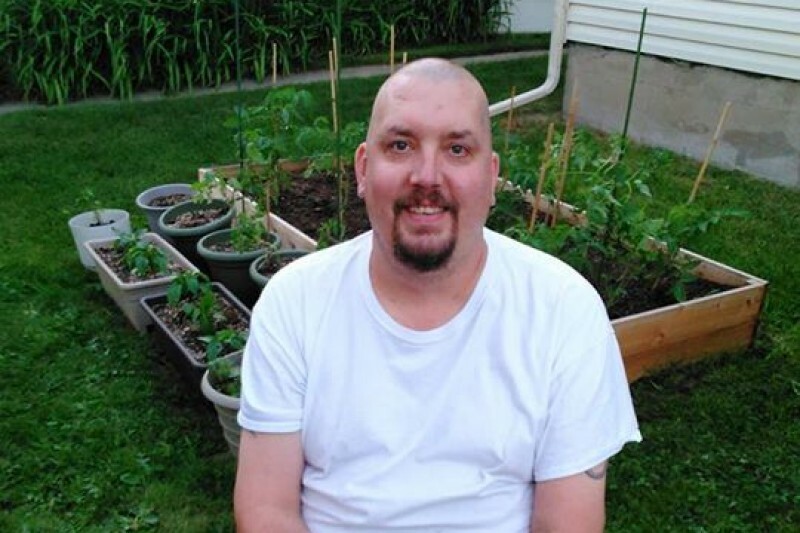 This recent diagnosis of a new tumor brings on a new course of treatment for Kurt. He will be undergoing cyberknife radiation treatment starting within the next couple of weeks. The good news is that he is able to have these treatments in Duluth, so not too far from home. His medical expenses have been very great due to the , number of MRI's, CT's, chemotherapy, radiation and many other tests, appointments and also traveling. Kurt is extremely grateful and appreciative of everyone's generosity thus far. He is aware however, that going forward, he needs help. Any donation is very much appreciated. He would also appreciate your prayers, and well wishes. Keep fighting Kurt! Prayers to you. Praying for you and sending you a big hug!